Many of the clients I consult with are based around Leeds. And, where possible, I like to walk to their office. But sometimes it is just not practical because of time, or distance, or needing to get around multiple places. The solution: cycling to their offices. The timing is pretty poor. It’s cold and dark almost the whole time at the moment. But, if I can manage it now, it’s going to be far better in the summer. Last month, I attended the Evans Fix It course on bike maintenance. It was supposed to be an hour’s course and cost £15. As it was, we ended up getting an hour and a half of tuition for our money. It covers the basics: parts of the bike, the M-check, changing a tyre, cleaning and a little bit on adjusting gears. There were only two of us on the course, so it extra friendly, and we were able to look at specific setups for our bikes. We call ran disc brakes, for example, so could skip over the rim brakes content pretty quickly. Plus, we got to see the secret downstairs area, and you come away with a goodie bag containing cleaning products, a multitool, tyre levers and a patch kit. All in all, therefore it was great value: 90 minutes of learning, plus a load of useful stuff that I needed anyway. The only drawback was that it was a demonstration, rather than a hands-on exercise. I was a guinea pig for a course at Woodrup the week before, and in that we got hands-on, changing the inner tube on a tyre. There is no replacement for actually doing it. I would still recommend the Evans course, though, because it is still a bargain. Ideally, do both. I’m not naturally mechanical, so I’m looking for all of the learning opportunities I can get. In this video, I’ll review the Lifeline TT-02 fluid turbo trainer. 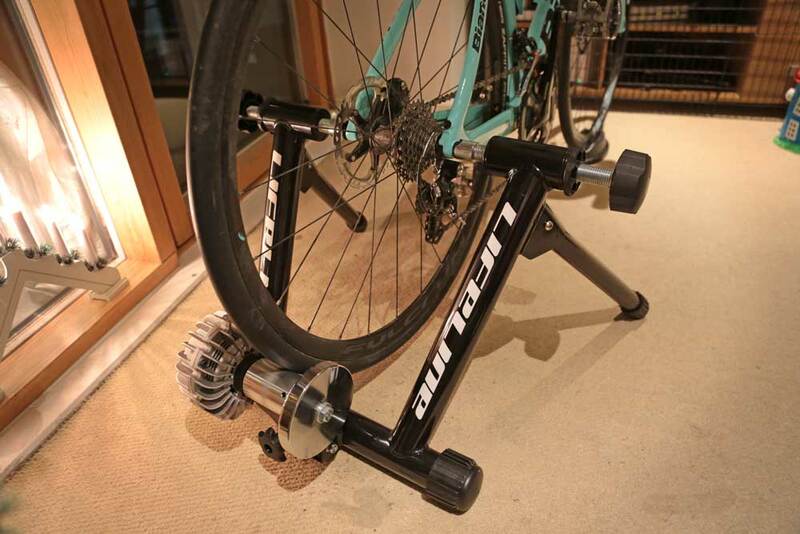 It’s an indoor bike trainer sold by Wiggle. It’s an entry-level model that is perfect if you want to try out indoor cycling without spending a huge amount of money. Setup is simple, and I’ll show you in the video. Pop the legs out, lock the bike in place and pop the riser block under the front wheel. You’ll need to replace your quick release skewer with the one supplied. 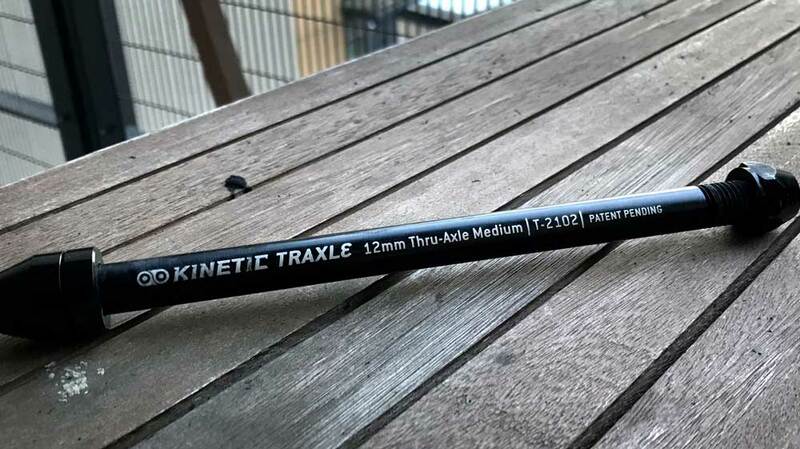 If you have a thru-axle bike, see my review of the Kinetic Traxle. With it being a fluid trainer, there are no controls to fiddle around with. The resistance gets exponentially harder as you pedal faster. 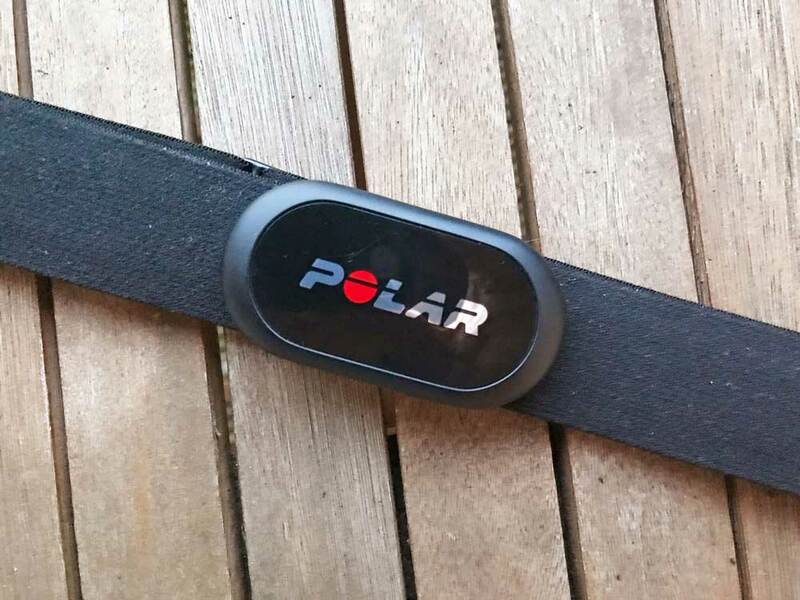 As it’s not a smart trainer, it’s not compatible with Zwift or TrainerRoad out-of-the-box: you’ll need a power meter or speed sensor on your bike to make it work. You can listen to the noise levels on the video as I ride at 100, 200, 400 and 700 Watts. 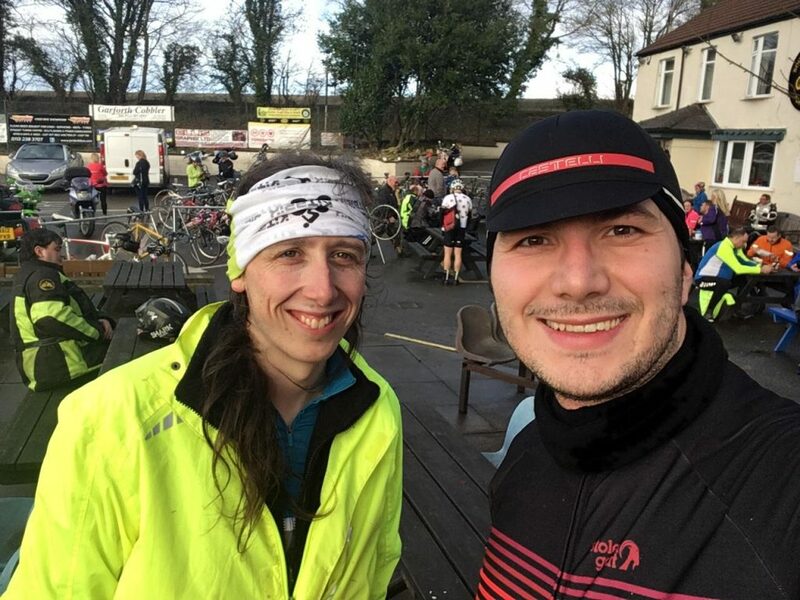 My first ever sportive was the Festive Fifty on New Year’s Eve last year. So, it was fitting to close out 2018 by taking part in the Festive Fifty this year to raise money for Children’s Heart Surgery Fund at the Leeds General Infirmary. It was great to be riding with Bogdan again, as we haven’t had a spin since August. It felt easier than last year. Last year there was a hill. This year, I wouldn’t even call it a hill. It was over before I realised it. The long road back home was once again a massive headwind but didn’t feel quite as long, either. 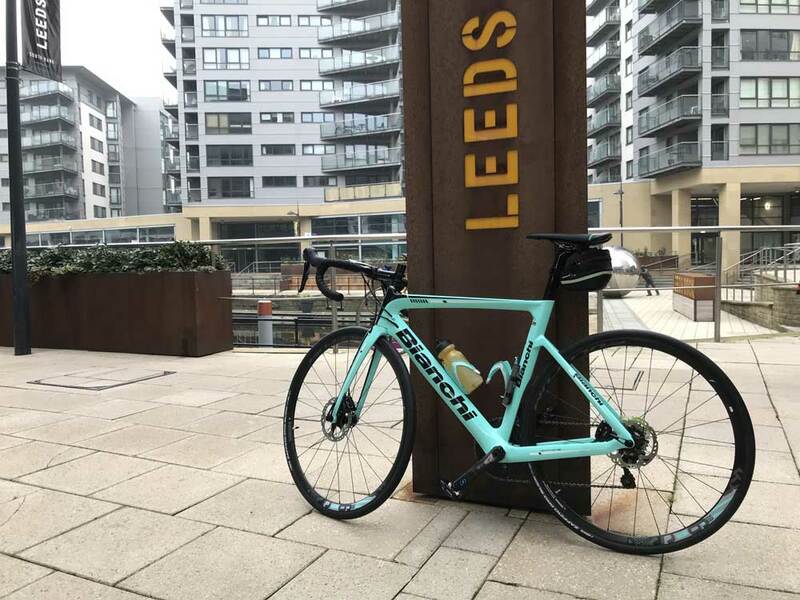 Doing the 50-mile route was certainly an option this year, but I haven’t dialled in my position on the Bianchi just yet, and with Venla being rather unwell at the moment, I wanted to get back to her as soon as possible. So, I settled for the 50km route, which was nice as it meant my toes stayed warm the whole way around. 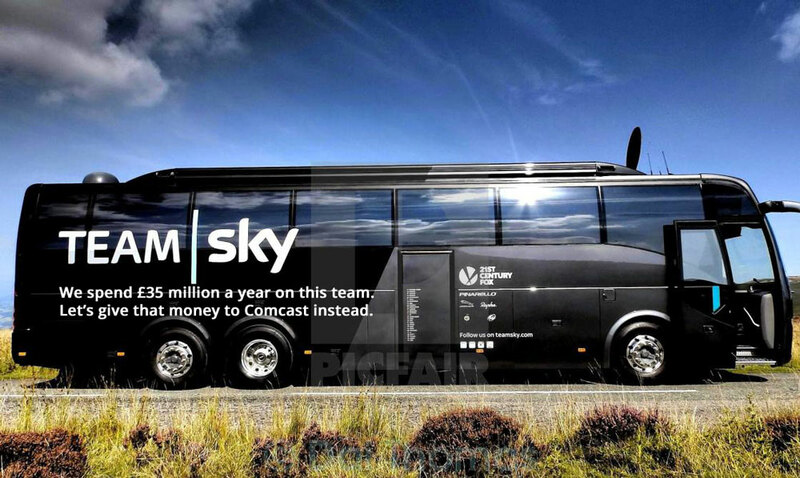 Pro cycling outfit Team Sky have unveiled their design for the 2019 team buses. 2019 will be the last year the time exists in its current form, with Sky announcing that it will end its sponsorship deal with the team after the 2019 season. Sky as recently acquired by US media giant Comcast, after a bitting war with 21st Century Fox, who owned 40% of Sky’s shares prior to the takeover. Sky’s takeover was, ironically, partly made possible by the collapse of the pound after the Brexit vote. In January, Worfolk Limited launch our first Garmin app: Mindful Moments. It gives you timely mindfulness reminders on your watch. Today, we’re pleased to announce our brand new app for bike computers: Mindful Ride. It’s a widget compatible with the Garmin Edge 1030 models. Once installed, simply pull down on the home screen to reveal the widgets and swipe until you find Mindful Ride. It delivers a short mindfulness instruction every 30 seconds. Simple, but effective. 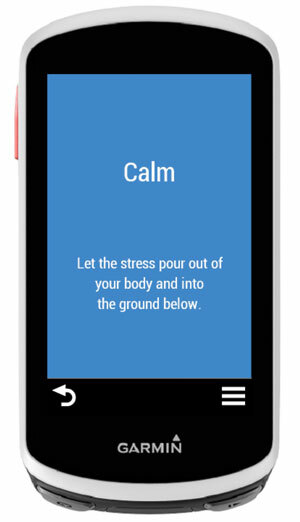 The app contains eight specially selected messages, all set on the Worfolk Anxiety blue that we developed for our wristbands to be the most calming colour possible. You can download it from the Garmin Connect IQ Store. 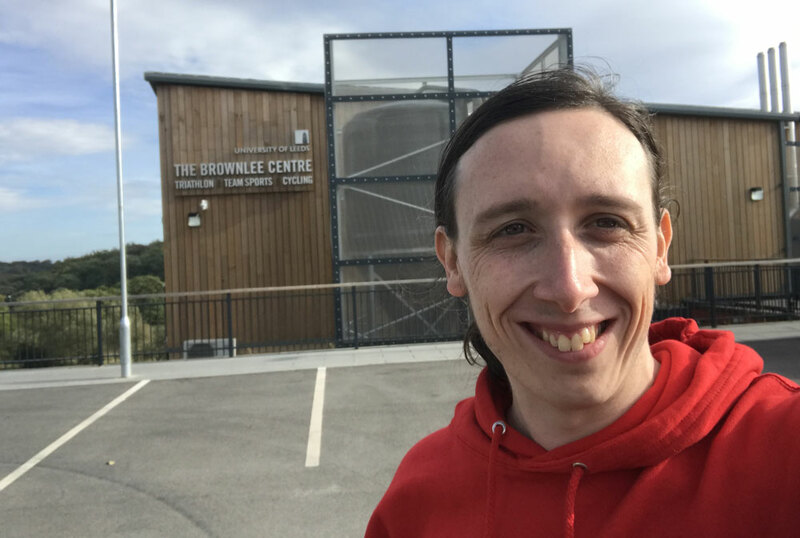 After my first visit to the Brownlee cycle circuit I found myself back there for the launch of the triathlon centre. It’s not really clear what that was. It looks the same. But, in any case, British Triathlon was providing some free training. There were three sessions: transition, run and bike. I will be changing the way I do things based on the transition session but it was the bike session that was most useful. It was led by Coach Morg, who runs Blue Lagooners and the Evolve triathlons and really helped me build some confidence with leaning the bike over and taking more speed through the corners. 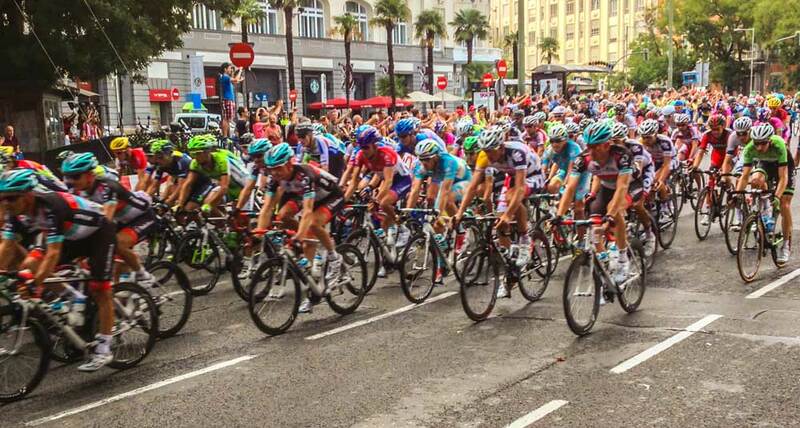 Vuelta a España is one of the four “grand tours” of cycling (three if you don’t count Tour de Yorkshire). It takes place each year in August/September and winds its way primarily through the mountainous regions of Spain. It’s already been an amazing year for British cycling: in May, Chris Froome made an amazing comeback to win the Giro d’Italia and become only the third person ever to hold all three grand tours at the same time. Then, in July, Geraint Thomas won the Tour de France. The Giro was also notable because Simon Yates was leading the race for much of it, but then dramatically feel off a cliff towards the end of the race. He had clearly learnt his lesson, though. Yates rode a much more reserved race and ultimately rode to victory. Meaning that three different British riders had taken three different grand tours. No other country has ever managed this. More importantly, I had Yates in my fantasy team. I had no time trialists, so I got off to a very slow start. However, once we go into the mountains I was away. On the penultimate weekend, my team of Yates, Pinot and Lopez managed 1st, 2nd and 4th on Saturday and 1st, 2nd and 3rd on Sunday. The take-home lesson? Never take Richie Porte on a three-week stage race. Thanks to Mattpopovich for the photo.